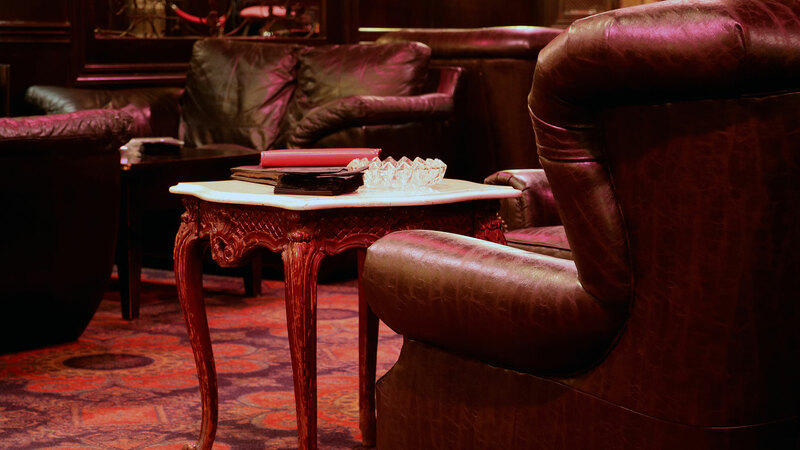 Nicky Blaine’s is a full service nightclub and lounge, featuring our well known selection of martinis, a fully stocked scotch bar, and an extensive array of cigars. Indy’s “Original Retro Bar” offers a unique experience in the city, catering to those looking for an intimate evening or the perfect atmosphere for a social night out downtown. Unlike noisy nightclubs, at Nicky Blaine’s’s you can actually hear yourself having a good time. Voted one of “America’s Best Bars” by Esquire Magazine, and locally recognized as one of the best Martini and Date Bars, we have made it our mission to continually refine our selection and ambiance. Our cigar “sommelier” keeps our humidors stocked with not only brand favorites, but also a rotating selection of rare, specialty cigars. Our appetizer and dessert menu is available until 2 a.m. Where else can you get a gorgeous fruit and cheese plate or bruschetta at midnight? We are a popular place for a drink before dinner reservations on Fridays; come back after dinner and you will find our lounge has transformed into a busy, lively nightclub. 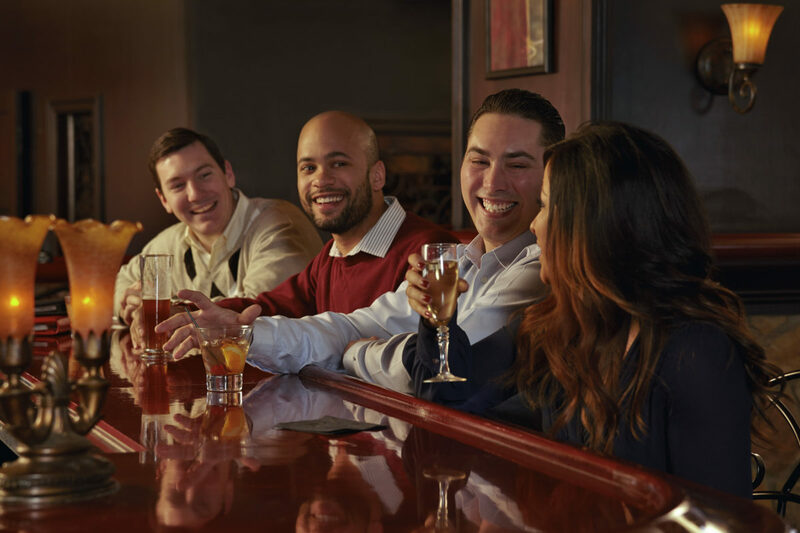 Weekdays prove to be the favorite time for our regulars, perfect for the after work drink or that night when you just need to get away and treat yourself right. 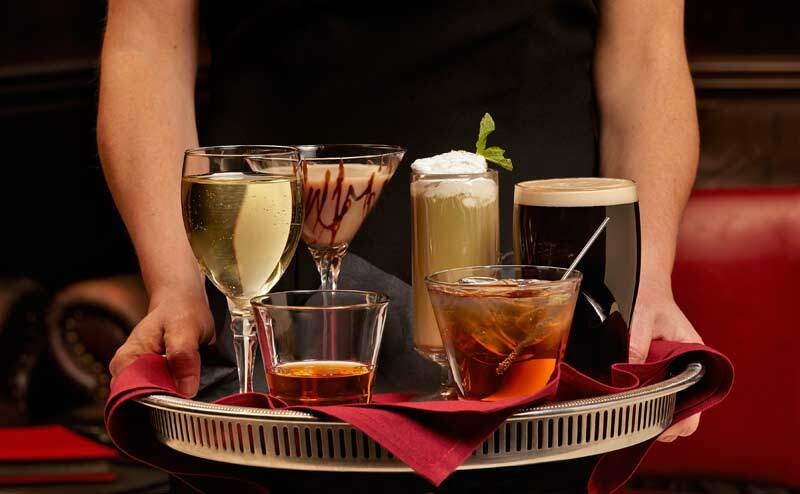 Nicky Blaine’s Cocktail Lounge has regularly been named by the readers of NUVO as Indianapolis’ Best Martini Bar and Best Cigar Lounge. When we first decided to open Nicky Blaine’s we knew that downtown did not have a nightclub that was really adult oriented. Visitors options were limited to sports bars or a loud, dance oriented nightclub geared towards the college crowd. Our goal was to bring a nightclub that was timeless rather than trendy, our focus on the quality and variety of cocktails with an upscale and inviting atmosphere. We quickly outgrew our first location, where we moved directly into the King Cole Restaurant. Nicky’s moved to the Guaranty Building across the street and were able to design the lounge and bar area just the way we wanted. The name for Nicky Blaine’s is a mix of movie influence and good rhythm. “Rick Blaine” was the last name of Humphrey Bogart’s character in Casablanca. We wanted to appeal to women and men alike, so we chose Nicky as it was more androgynous and still had a pleasing cadence when spoken.